HomeArticlesM&A ITM&A and disruptive tech: Is the IT landscape changing for 2016? The concepts of these companies are quite different, but the use of IT is no longer supportive only, but here it is the key. These and other companies provide major changes in areas like The internet of things, 3d printing, mobile cloud and big data analytics and have a accelerative impact in the transformation of IT markets. This leads in some cases to disruptive business scenarios. The fact still remains that digital disruptive companies have had a major role in the M&A acquisition strategies in 2015 and will continue to thrive in the next 12 months according to research conducted by EY under tech executives for the latest Capital Confidence Barometer. Fear to be left behind in the wave of tech disruption has led companies to buy innovation if they can’t do it internally. But this also leaves chances for less innovative companies to complement more disruptive companies to be part of a value added strategy. This has been very noticeable in the M&A dynamics this year regarding Fintech, Cloud and Digital Security Services in our practice dealings with strategic buyers and sellers. Recent quotes from CEO’s of several important Banks demonstrate that they see the role of Banks change into IT organizations that assist customers to organize and fulfil their personal and business financial needs in a more efficient way. This year we have encountered several companies providing fintech services and if the business case and growth potential are there, Private Equity and Venture capital are very interested. Remarkable fintech deals this year of course began with the Adyen deal funding in the Netherlands by Iconics. The acquisition of Xoom by PayPal and one of the larger fintech deals the acquisition of yodlee by evestnet. The rise of Chinese fintechs is according to a recent KPMG report also striking. Main also showed interest in German fintech with the acquisition of Allgeier IT solutions. The importance of Cloud services is an evolving topic and every year it brings new dynamics in the M&A market. Large tech companies that have made their names selling hardware and software on premise could be in trouble as customers shift from running their own infrastructure to the cloud. While Amazon (with AWS), Oracle (with Heroku) and Microsoft (with Azure and Office 365) have taken the lead in the cloud, all other big and midsize software players are trying to follow, bringing their software offerings partially or totally to the cloud in phases. Beginning with HR, CRM and Project/ Portfolio Management etc. A big value driver for a lot of software and it services companies has been for many years the Cloud/ SaaS factor. 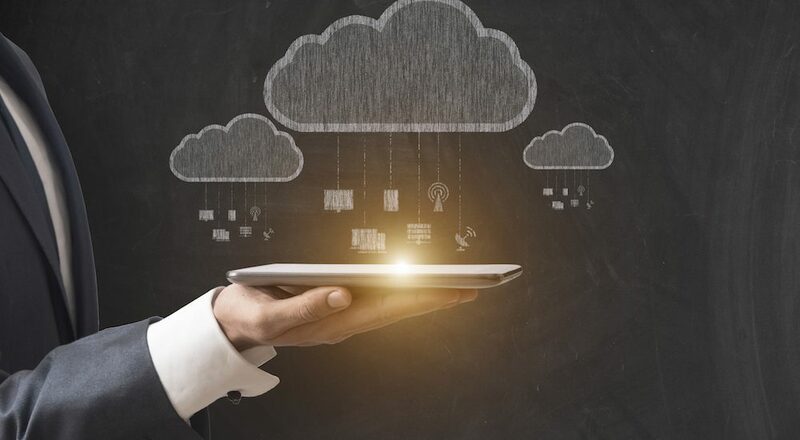 How ready are your company infrastructure and software for the cloud? These are questions that buyers haven been asking more and more when determining the value of a potential target. Local smaller and midsize IT infrastructure, Hosting and Cloud service providers are under pressure to scale up and stay competitive with the larger ones. M&A dynamics are already playing out, as we are experiencing with the deal flow in this sector. One of bigger International deals of the year came from Dell buying cloud & virtualization company EMC (deal value: 67 Billion dollars). In the Netherlands KPN has been recently very active in buying more Cloud expertise and manpower with the acquisitions of Net Ground and Colt. The public cloud makes digital security and managed security services more relevant then ever before. According to IDC, the hot areas for growth in digital security are security analytics / SIEM (10 percent); threat intelligence (10 percent +); mobile security (18 percent); and cloud security (50 percent). According to a report from Markets and Markets, the cloud security market is expected to be worth $8.7 billion by 2019. Since network leakages must be reported by law and Cyber-crimes are constantly in the news, digital security cannot be ignored any more by enterprises. This will trigger more spending and investments in infrastructure but also awareness training of executives and personnel to stay alert and act if necessary. This means that service providers must keep up with the new software products, which are emerging but also invest more in training and certification of their professional staff. All these factors contribute to more M&A dynamics in this sector which is already becoming visible. Consolidation in the market continues further with (private equity supported) bigger security companies buying strategic targets like the recent deal with NCC group buying Fox IT in the Netherlands, Securelink being bought by Investcorp and the acquisition of Authasas by the British company Micro Focus. Healthcare is important for everyone. So if new digital technologies are employed to solve or prevent health problems, everyone will embrace that. Particularly in the area of ‘ prevention ‘ and risk analysis (for example, DNA testing) digital technologies are becoming better, available and affordable. The main obstacle in this sector is in the area of regulation, but also providing privacy. A lot of consolidation in this market has already taken place. Larger local players are well established. However there is a growing interest from Private Equity but also from local and international strategic players that traditionally focused on other aspects of the business like medical equipment/ systems and now realize that information technology. It is a must for them to retain their grip on their customers and the eco system which is related to that. Smart Health is the buzz word we hear more and more. Main and Gilde (Healthcare) have a strong Healthcare portfolio (recent acquisition of Zetacom by Gilde), German company Darwaan by Regas (also Main) and TSS backed by owner Constellation is also very active in the Healthcare IT market. The recent LOI of ICT Automatisering with BMA a leading Dutch Healthcare software company also confirms that the market is still full in motion. What we expect for 2016 and the years thereafter that new disruptive ICT will take off and revolutionize certain sectors in the economy but not all. Fintech and Healthcare are certainly sectors which will be influenced heavily we estimate and current practice and business models will change. Cloud combined with Digital Security are also forceful drivers for accelerated change, more efficiency, more continuity and protection. It will have strong effects on M&A in ICT, and we are aware of that and already engaged in all the areas and sectors we mentioned. Together with our background, active contacts and track record will ensure that we will play our role in the local and international consolidation process that is already taking place.